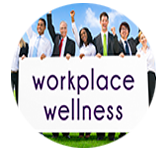 What is Workplace Wellness ? In organizations, employers feel the healthcare solutions to be costly as they sum up to their existing operating cost. However, latest creative solutions in healthcare are successful in controlling the increasing healthcare costs. We will discuss on how the employees can improve their health in work environment. It is considered as 84% of the diseases are due to the life style and by following a well-designed wellness employees are less impacted by these diseases and benefits their organization with respect to less number of instances for accidents, illness, medical claims and absences therefore increasing productivity. We focus on getting the people to know how their health is impacted by working long-hours, feeling stressful and to meet deadlines. Employee should be aware of the kind of health problems they can face and the stress factors that increases the health issues in working environment.